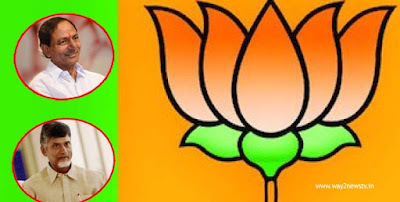 The chandrababu and Chandrasekhar were joined together.As a result showing stars to the BJP party in the Telugu state.one person called as vaadu veedu .and other person is handling in smooth way.As a result, showing stars to BJP party.now BJP is in the critical situation.KCR called the Prime Minister as vaadu veedu... Ktr and kavitha are trying to adjust that something is wrong.Everything is did,now Comments are being to re correct their mistake.On the other hand, Chandrababu is doing the same with resignations, ministers and meetings. Now, Telugu State's CMs have moving against to BJP,amit shah said to chandrababu "Let's talk "over phone.Chandrababu said "It is not my stage affair.Our people come. will talk to them". 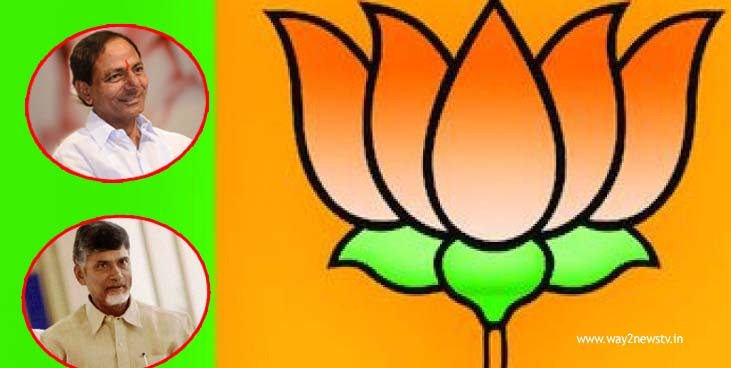 As a result, it was like given a shock to BJP President Amit shah.chandrababu acted in the manner as "you don't have the status to talk to me"In the case of justice to the AP, the BJP is acting like a Neutral.Has changed words in status.in that matter Chandrababu did not small .As they say, he did.after people scoldings now he received status japa word.The arrow was criticized on the BJP.KCR is working to unify the opposition at the central level.Say the third front. It's not so much. It is naturally a matter of anger for the BJP. That is why it takes responsibility for implementing division guarantees. whatever the center is coming down and people of Telugu states are happy.